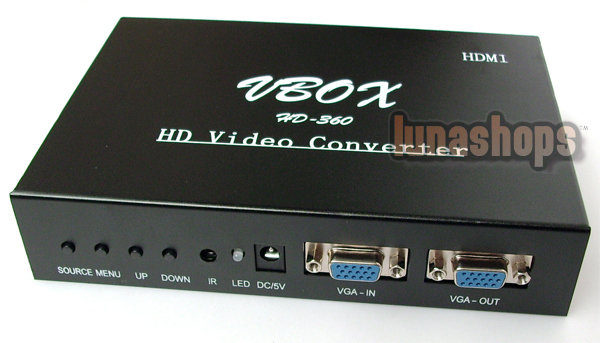 The VBOX HD-360 convert box is designed to work with any gaming console or video device that has a standard component video output and HDMI output, such as the PS2, PS 3, Xbox, Xbox360, WII, GameCube, etc. 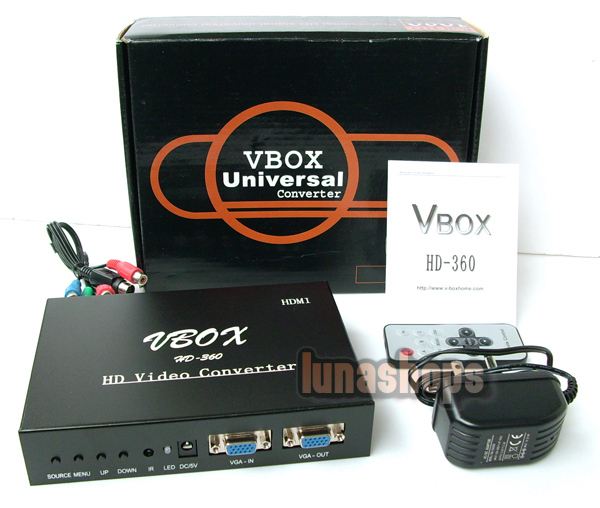 With the VBOX HD-360 convert box and a standard CRT/LCD monitor, users can play their favorite games at 480i, 576i, 480p, 576p, 720p(50Hz/60Hz), 1080i(50Hz/60Hz), or 1080p(50Hz/60Hz) resolutions - double or 5 times resolution than a standard TV! The VBOX HD-360 convert box makes games come alive, delivering the sharpest, most realistic visuals available. 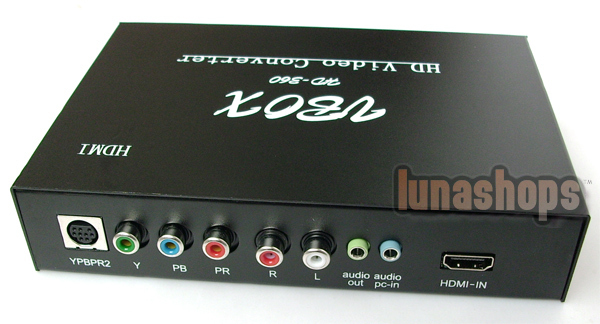 It will auto-detect and auto-convert the YPbPr signal from 480i to 1080p. Furthermore, the PC pass-through function on the VBOX HD-360 convert box even allows a quick switch between your gaming consoles and PC. Delivers crystal clear 480i, 576i, 480p, 576p, 720p(50Hz/60Hz), 1080i(50Hz/60Hz), and 1080p(50Hz/60Hz) displays on standard VGA/LCD monitors. 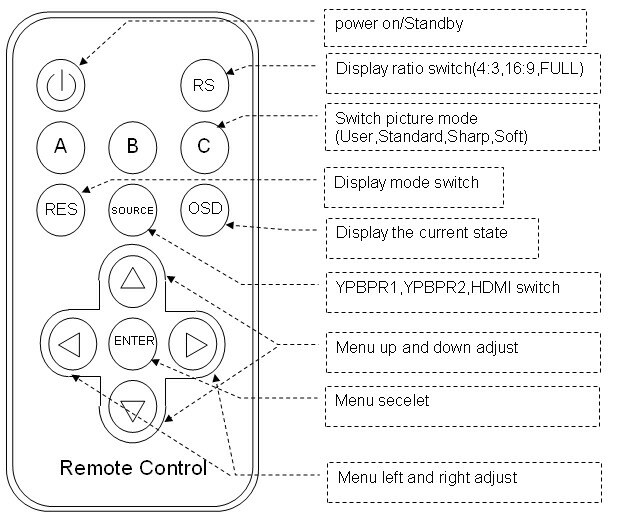 Adopts standard component video input, compatible with various gaming consoles and video devices, including the PS2, PS 3, Xbox, Xbox360, WII, GameCube, etc. Add black bar to match with 5:4 or and 16:10 panel. No more distortion! 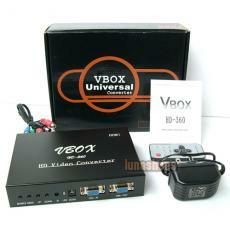 Provides video pass-through function to select images between PC and the gaming console by pressing one single button. Provides advanced signal processing with great precision. Colors, resolutions, and details! High quality, state of the art motion adaptive de-interlacing for 480i and 1080i input. High quality scaling technology for 480p, 576p, 720p, 1080p. Provides picture adjustment which brings the most comfortable picture to you. When box in standby mode VGA-IN bypass to VGA-OUT. Please connect Port YPbPr2 with convert-cable attached.